Custom picture framing is an art. It takes creativity, precision, patience and skill. 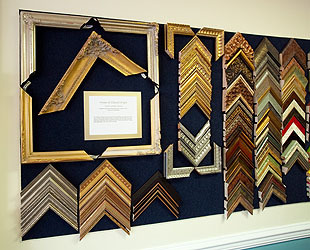 Each of our designer/framers has years of experience in the field. They have the knowledge and expertise to frame anything, from portraits to pistols; violins to violets; jerseys to jackets; golf balls to glasses; flags to fans; masks to mirrors; shells to shawls. Well…you get the picture! Our staff is also experienced in stretching canvases as well as needlework. If you have broken glass or need a new mat, we will be happy to help you with that, too. Lisa's Custom Framing proudly supports the arts community and has a selection of works from local and state artists in our gallery. 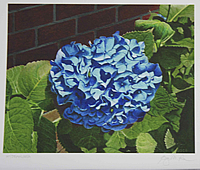 Fine art and military prints are available as well as unique photo frames, gifts and gift certificates. 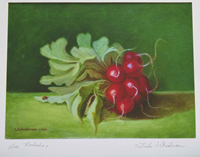 In addition, Lisa’s Custom Framing is the exclusive dealer for P. Buckley Moss. Our corporate customers rely on Lisa’s to help create an inspiring and artistic environment by offering design recommendations for adding art to their business space. We also offer free delivery as part of our corporate services.